Designing and running a website free of hackers will take some ingenuity and a lot of security in order to have a server with a secure environment. The bigger web site you build the more important it is to keep your web site secure and avoid Hacker Attacks. Some simple rules will help your web site from being infiltrated. 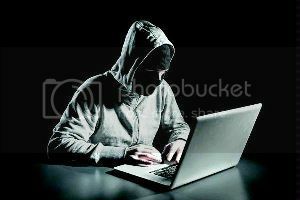 If you are running a WordPress blog and want to protect it from Hacker attacks then read 5 Ways to Protect Your WordPress Blog From Hackers. A VPS server is run on a server that is hosted by another computer. The software that is used allows the computer to perform as if it is on a dedicated server. In actuality, many different virtual private server users are on the same server. By sharing a server, users will have the dedicated server options without the price associated with dedicated servers. Protection software needs to be run on the virtual server so hackers cannot attack your web site. People are now aware that they want more control over both the front and back ends of their web site. Web owners want to be able to run their own programs and set up everything the way they want. The only way to have full control over the server is to run a VPS solution. Renting out a server box gives you an unmanaged dedicated server in which everything that happens is up to you. You choose the operating system and the security that goes onto the server. Hackers can attack a virtual server the same way they attack a normal server, so protective software must be run the same as if it were a real machine. Before you make your server public, you will want to set up a couple of things for protection. Do not use root access when making changes on the server. With a Linux system you would use sudo, if you are using Ubuntu, then you must use su. Checkout, What is the default root password in Ubuntu Linux? Some people also feel safer just to eliminate the root access altogether. Check the security of your folders. Make sure that the public can only see those folders that are intended for their viewing. The only folder that the public should see is the one that contains your web site. Creating a Strong password is not a big deal. Head to article How to create hard to break Password? and secure all your accounts at ease to prevent Hacker Attacks.User accounts on the Linux server should have strong and intricate passwords. Never use simple words, family or pets names, street addresses or basic words directly out of the dictionary for a password. Using a strong password with a combination of numbers, upper and lower case letters and even special characters will be harder for hackers to break. Your password should also be a minimum of eight characters. Are you having difficult to remember all the passwords? Then checkout, Keepass – A Freeware Software App to save all passwords. Firewalls should be run on the machine to keep your ports protected. Ports are the easiest way for hackers to get into your information. Make sure that all your software including your operating system is upgraded constantly to prevent Hacker Attacks. When your software and operating system is upgraded, your security will also upgrade, giving you the maximum protection on your server. Virtual Private Servers will give the user the power and flexibility that are in dedicated server but cost a lot less. Maintaining the security of your VPS is the most important function that needs to be handled. Disabling any unneeded services, ports will be closed making it harder for hackers to gain access. The user will also get better performance out of the server when unnecessary programs are closed. Can VPN be used for protection of a website?